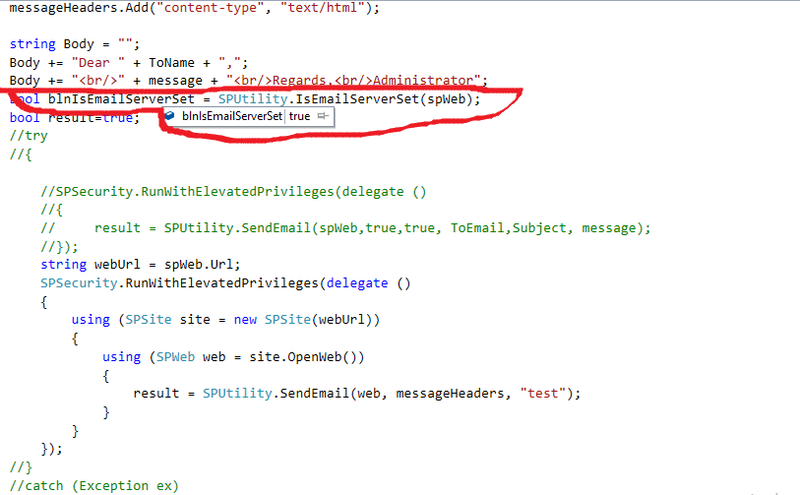 blnIsEmailServerSet is returning true but result variable is returning false when trying to send email. 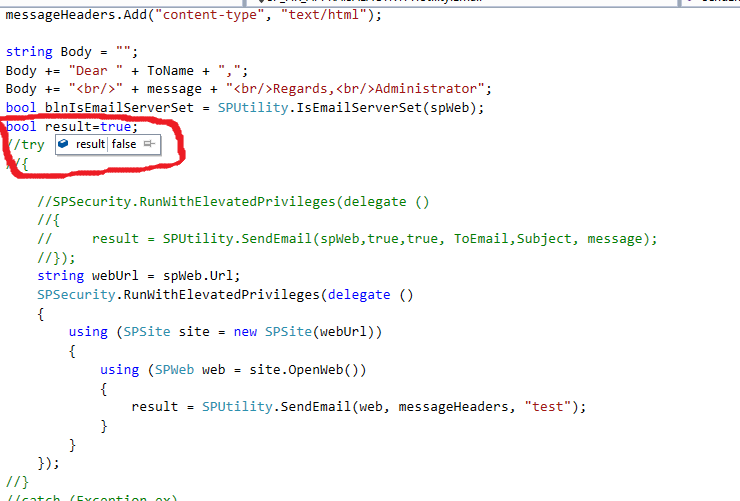 Sendemail method is returning false, why??? UPD: why did you use false params? Not the answer you're looking for? Browse other questions tagged sharepoint-server sharepoint-foundation development email spfx-webparts or ask your own question.